Heat oven to 375°F. Line 2 cookie sheets with cooking parchment paper. Unroll crescent dough sheet on work surface; press into 14x8-inch rectangle. Cut into 4 (7x4-inch) rectangles. (If using crescent dinner rolls, separate into 4 rectangles, and press seams to seal.) 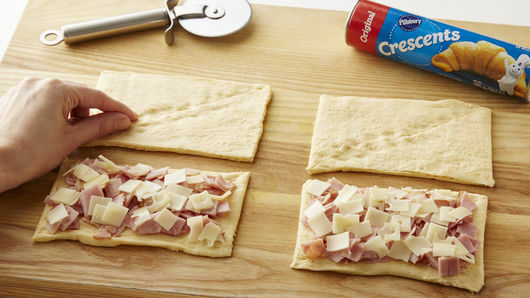 Top 2 of the rectangles evenly with the ham and cheese pieces, up to within 1/4 inch on the long edges of dough. Top each with the remaining 2 dough rectangles. Cut each rectangle crosswise into 8 strips, about 3/4 inch wide. 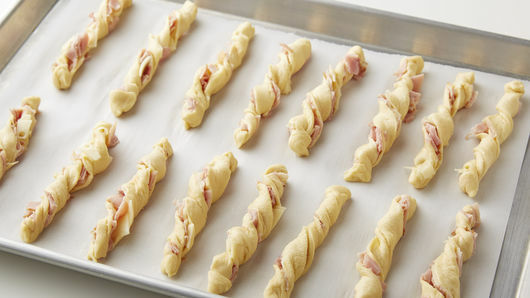 Twist each strip a couple of times, and place on cookie sheets, pinching and pressing down on ends of each dough strip to seal. Replace any ham and cheese pieces that may come out, if necessary. 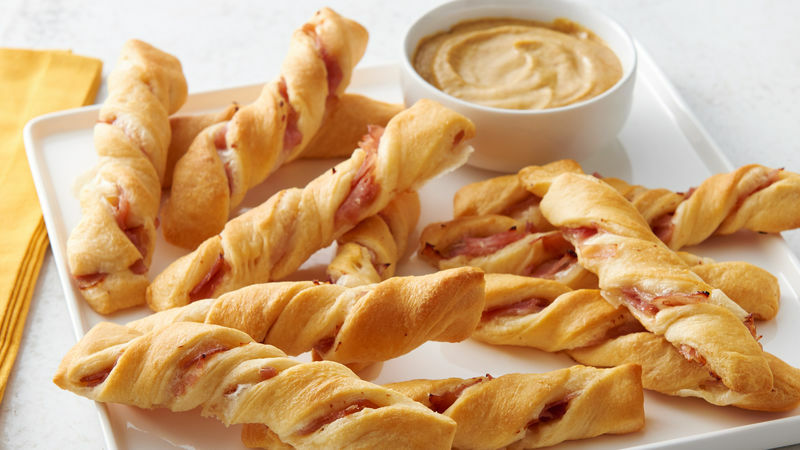 Serve the crescent twists with honey mustard to complement the honey flavors. 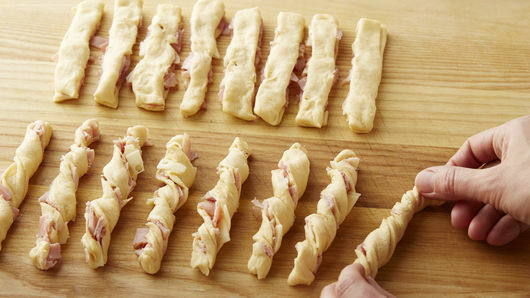 Using thinly sliced deli ham and extra-thin Swiss cheese slices will help twists maintain their shapes during baking.